Each annual training course begins in October and ends in May of the following year. Sessions take place at the premises of the ACWL on Thursdays from 13:00-15:00 hours. The ACWL structures its annual training courses on a three-year cycle. The first course covers the basic principles of WTO law, the second the WTO agreements relating to trade remedies, trade in services and trade-related intellectual property rights, and the third the WTO dispute settlement procedures. The ACWL has completed 13 annual training courses so far. Participants that attended two thirds of the sessions in a given year are awarded a Certificate of Training. To date, the ACWL has awarded 389 Certificates of Training. Delegates from nearly all ACWL Members and from two thirds of the LDCs with missions in Geneva have participated in ACWL training courses. The ACWL also conducts supplementary sessions for delegates who are unable to attend a regularly-scheduled session or have detailed queries on a topic covered in the course. The supplementary sessions are intended primarily for delegates from LDCs and other countries with small missions in Geneva. 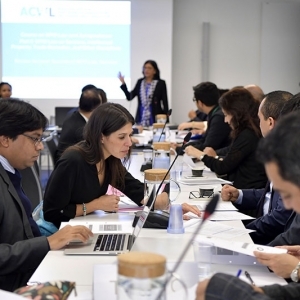 In addition, the ACWL offers seminars on significant panel and Appellate Body rulings and other subjects of interest and, upon request, training sessions on specific issues of WTO law.